Both the United Kingdom’s largest airports sit outside of its capital city, London, though the London Heathrow airport is nearly twice the size of London Gatwick. The UK is considered one of the world’s most expensive countries to travel in, with even budget travelers facing daily costs of $80 or more. Most travelers come to the UK between April and August, when temperatures are typically between 10 to 20ºC (50-70º F). Winter average temperatures are usually between -1 to 10ºC (30- 50º F), though it regularly gets colder in some areas of the country. Images of the iconic UK flag and miniatures of red phone booths and double decker buses are examples of the classic British souvenirs. The United Kingdom is one of the most popular travel destinations in the world, due in part to its fascinating history and extreme wealth. While the UK controls a number of islands and territories across the world, the nation is centred around the island of Great Britain. Today, the UK is composed of four distinct countries: England, Scotland, Wales, and Northern Ireland. The only country which shares a land border with the UK is the Republic of Ireland. The history of modern humans in the United Kingdom dates back roughly 40,000 years, although glacial activity mostly drove these early tenants off the island. By 9500 BCE, temperatures had improved, and humans again inhabited the island. Though relatively little is known of these early residents, they left a handful of cryptic ruins, such as the iconic Stonehenge. The UK’s recorded history begins in 43 AD, with the invasion of the Romans. This powerful empire controlled southern Britain for nearly 400 years, though the latter part of their rule was marred by constant barbaric invasions. The Romans fully retreated from Britain in 410 CE, and the country fell into the hands of a number of native tribes. Eventually, Germanic Anglo-Saxon invaders came to control most of the UK, though they too were replaced by the French and Norman nobles by 1066. The UK during this period featured the chivalrous knights in shining armour and feudal castle system which has been romanticized by countless stories and movies. During this time, the UK also widely adopted Christianity. One of the most significant events occurred in the 1300s, when the UK experienced both a massive famine and the Black Plague, together killing more than half of the country’s population. Around this time, the country also began its lengthy feud with France, leading to several hundred years of periodic fighting. Religious and political conflict also escalated, promoting the spread of Protestantism and establishment of a parliamentary government separate from the monarchy. Soon after these changes, the UK vastly expanded its naval powers and began to establish colonies across the world, particularly in North America and Asia. The modern United Kingdom came into being in 1707, when England and Scotland united their governments. By the 1800s, the UK had become the world’s most powerful country, due largely to its expansive network of colonies. In fact, Britain once controlled a colony in every time zone, as alluded to by the famous phrase “the sun never sets on the British Empire.” The UK participated in both WWI and WWII, with the legendary Winston Churchill presiding over the country during the second world war. However, the country was heavily damaged from bombing during WWII. By the 1980s, the UK granted independence to the vast majority of its remaining colonies. Though not quite as powerful as it once was, the UK is still considered one of the wealthiest countries in the world, and it enjoys a huge amount of cultural and political influence. The widespread use of the English language is an example of the UK’s enduring cultural influence, as well as the popularity of British musical acts like the Beatles and the Rolling Stones. London is the most popular travel destination in the world (except for perhaps Paris), thus there’s absolutely no way we can summarize travel in this metropolis in such a short space. However, we’d highly advise travelers explore the world famous British Museum in the Bloomsbury district. This historic area also has great shopping and dining. Westminster is home to many of London’s more famous government related buildings, including Westminster Abbey and Big Ben. Buckingham Palace, the home of the British monarchy, is also in Westminster. Hyde Park (in particular its speakers corner) is also an important and beautiful London travel destination. Hyde Park is a part of London’s system of Royal Parks, which are fascinating to explore. Meanwhile, the district of Soho contains much of London’s modern cultural flair, though artistry and music can be found throughout the city. Clubbing is also very popular in London, and the city is filled with hot nightlife destinations. Scotland’s largest city, Glasgow, is a fascinating place to visit. Like all British cities, there’s tons of history to be found in Glasgow, with the Glasgow Cathedral and City Chambers being two of the more popular sites. The city’s largest park, Glasgow Green, is worth exploring, if only to investigate its numerous memorials. As one might expect from a Scottish city, Glasgow is quite fond of football (soccer), and catching a match is imperative while visiting. The city also has a well developed music scene, with numerous bars and venues putting on live music every night of the year. 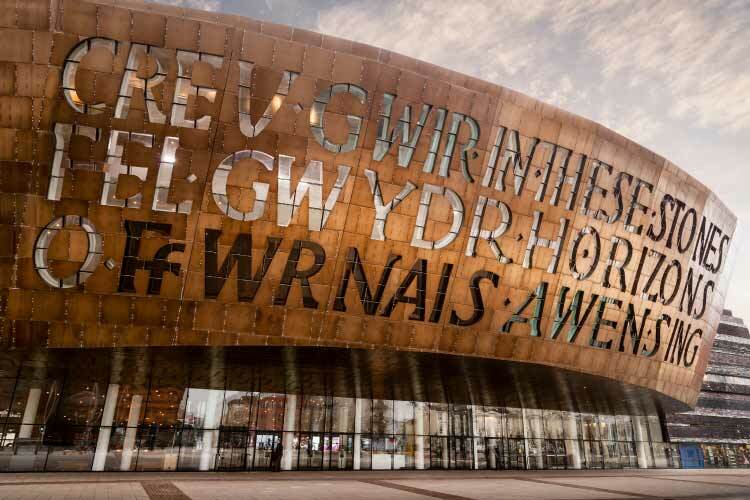 Cardiff is the capital of Wales, and though it’s not quite as popular a tourist destination as other cities in the UK, it’s absolutely worth visiting. The city is known for being pedestrian friendly and hosting numerous citywide festivals, especially during the summer. Historic sites include Cardiff Castle and the gorgeous City Hall. Cardiff also holds Senedd, the home of the Welsh Parliament. The city is known for its numerous parks and green spaces, with central Bute Park being the most famous. Cardiff’s bay is also a popular tourist destination, due namely to its vast array of restaurants and shops. 1. While in London, take a stroll through Westminster, where the majority of the cities most famous historical buildings are. Marvel at iconic sites like Buckingham Palace and Big Ben. Then, take a ride on the enormous ferris wheel, the London Eye. At night, don’t be afraid to catch a band play, go out clubbing or otherwise participate in the city’s exquisite nightlife. 2. 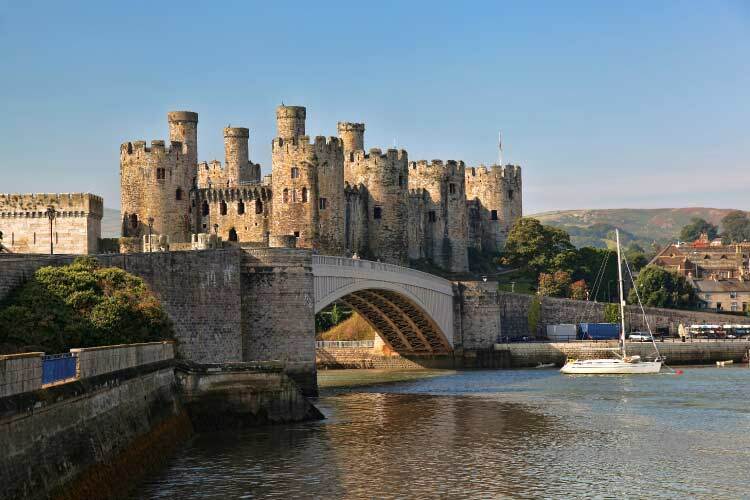 Explore Cardiff’s port and the area immediately surrounding it to discover some of the city’s best restaurants and shopping venues. Then, relax in one of the city’s many lovely parks, including Bute Park. If you’re interested in history, Cardiff also holds the majority of the Welsh governmental buildings, including the parliamentary building, Senedd. 3. One of Birmingham’s most interesting sites is Thinktank, an interactive science and technology museum. Another popular destination is Cadbury’s World, a functioning factory dedicated to producing Britain’s favourite candy. Birmingham is also known for its close proximity to the countryside and its outdoorsy vibe; travelers may be interested in visiting Lickey Hills Country Park or Sutton Park. 4. Manchester is the second most visited city in the UK, due largely to its cosmopolitan nature and fascinating history. The city features several rich ethnic neighborhoods, including a fantastic Chinatown area. Castlefield is one of the most historically important areas in Manchester, and also features an intriguing Museum of Sciences and Industry. 5. The Lake District is the largest National Park in England and widely considered its most beautiful. The park is fittingly named due to its 16 lakes, in addition to some mountains and lowlands. These are all connected by numerous footpaths. There are also a number of villages within the Lake District, including the popular Ambleside. 6. Spend time investigating the historic parts of Glasgow, especially the Glasgow Cathedral and the ornate City Chambers building. When you tire, relax in one the city’s famous parks, such as the spacious Glasgow Green. In the evenings, try to catch one of the many local musicians putting on a live performance. 7. Belfast centres around Donegall Square, which is highlighted by the exquisite Belfast City Hall. This area also sits near Donegall Street, a large shopping area. St. Anne’s Cathedral is also worth visiting to get a sense of Belfast’s history. 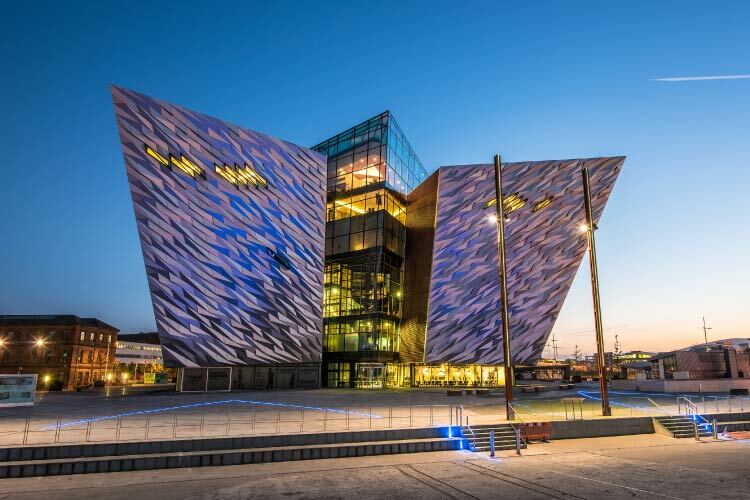 Belfast is also known for its numerous murals, and several tours are offered that take visitors through the city to see the best of its urban art.